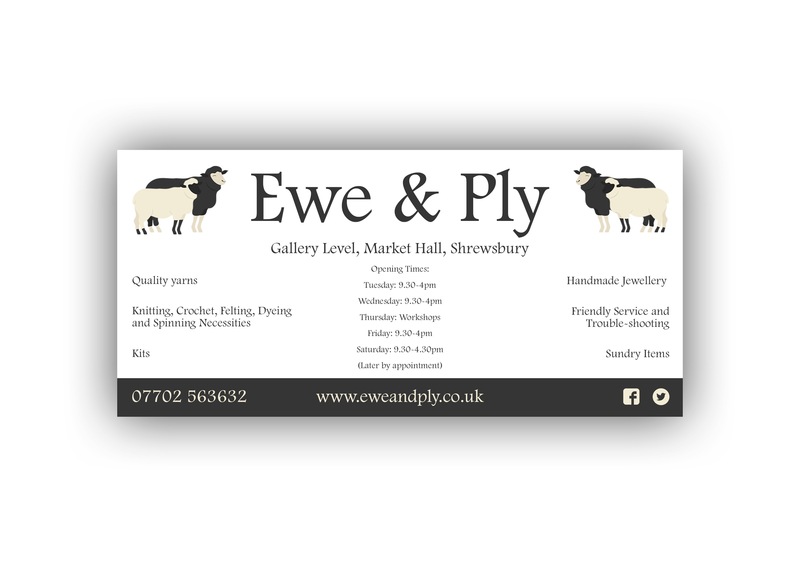 Today I thought I’d introduce you to one of our lovely new stockists, Ewe & Ply, which is based in Shrewsbury – the gallery level of the market hall to be more accurate. I’ve seen pics of the market hall and it looks absolutely gorgeous. I used to love market halls as a teenager, for their little independent and quirky shops, and these days they seem to have either gone really cheap and rubbish, or more upmarket – Shrewsbury has done the latter, evidently (which I applaud)! 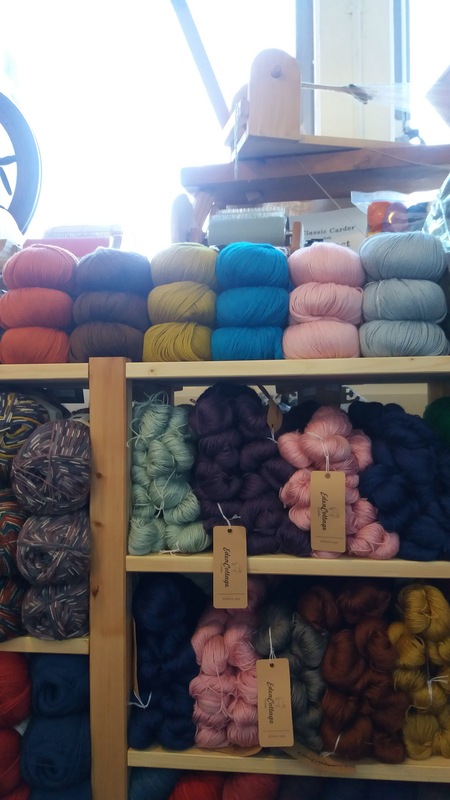 Anyway, we sent Teri and Becca some of our lovely yarn recently, and they opened their doors on Saturday just gone, so I asked Teri to tell me a bit more about them both and the shop. Here’s what she says. I am more of a crocheter and follow a pattern until I get bored! We both spin and I fiddle with dyes and weaving as well. If you can do it to wool between us we will. yarn and fleece for spinning and of course Becca’s jewellery. 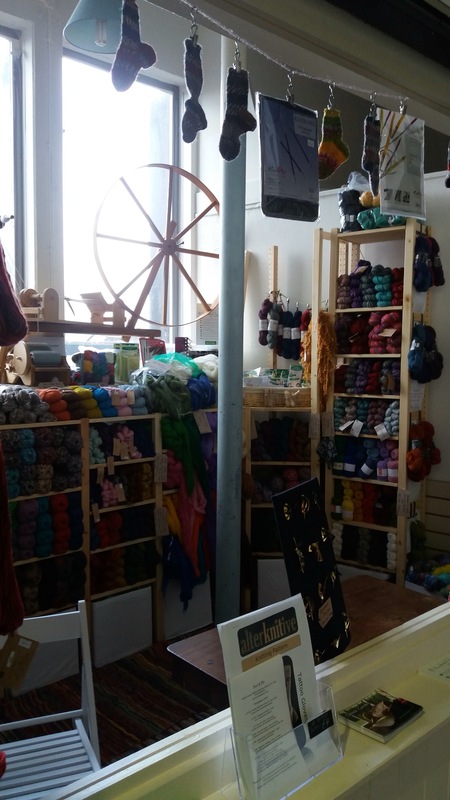 So please do visit the shop if you are in the area – we all know how valuable independent shops are, and it’s always good to squish and smell the yarn (don’t tell me you don’t) in person, and soak up the yarn fumes. And thankyou Teri for taking the time to write about this for me, I appreciate it. You can find Ewe & Ply on Facebook. 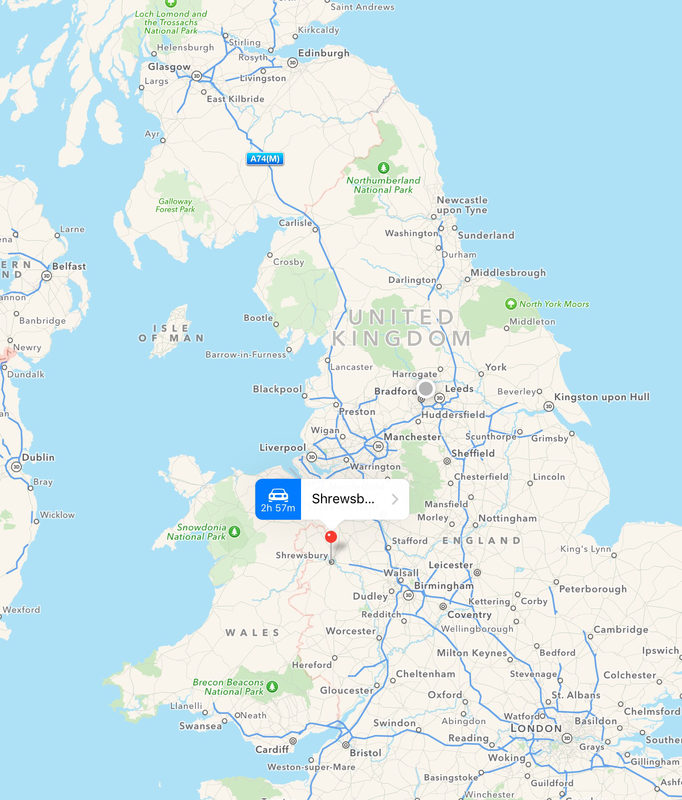 A little more info about Shrewsbury for those who aren’t familiar with it – it’s the county town of Shropshire, which to me is south (anywhere south of Manchester is south to me! ), and on the border with Wales. It’s a medieval market town, with black and white timber-framed buildings and a castle. Doesn’t it sound awesome?! I was in there yesterday and discovered your beautiful yarn for the first time. Lovely. Good luck to them in their new venture.